You’ll Never Feel Bad Here, It’s Perfect Indoors and Outdoors! 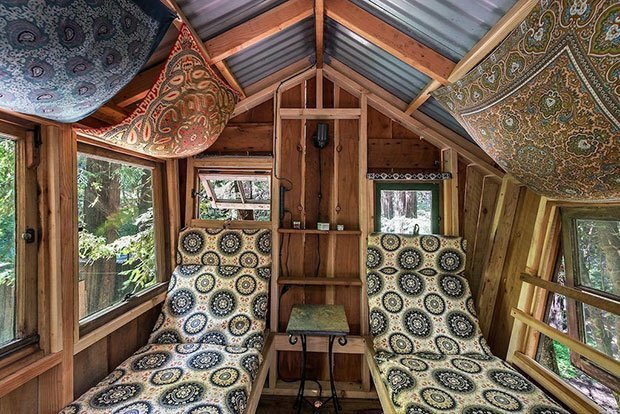 This classy little cabin has a very special vibe. And how could it not? It’s surrounded by a thick forest, with a small creek flowing right by the cabin. 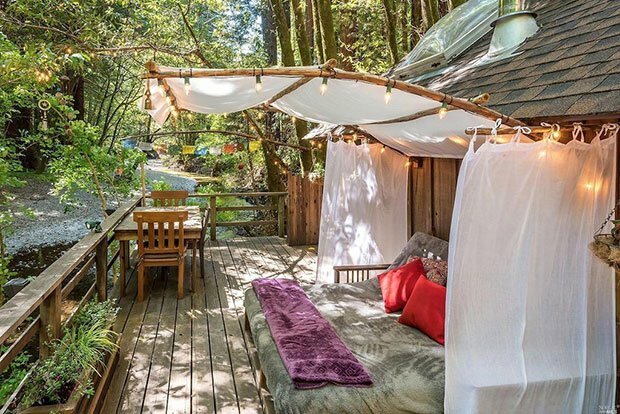 There’s even a deck which you can relax on while your thoughts flow along with the water. 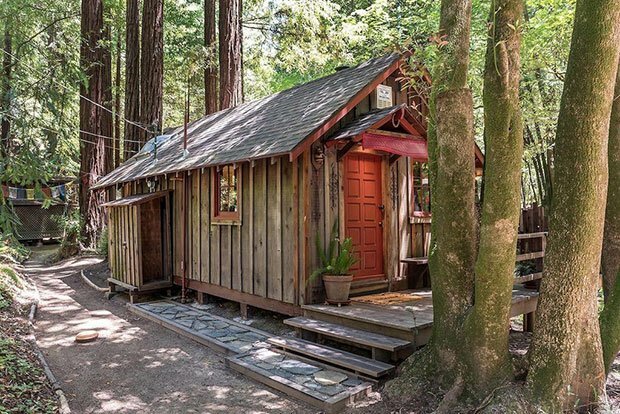 It’s located in Monte Rio, California, and on sale for $300,000. 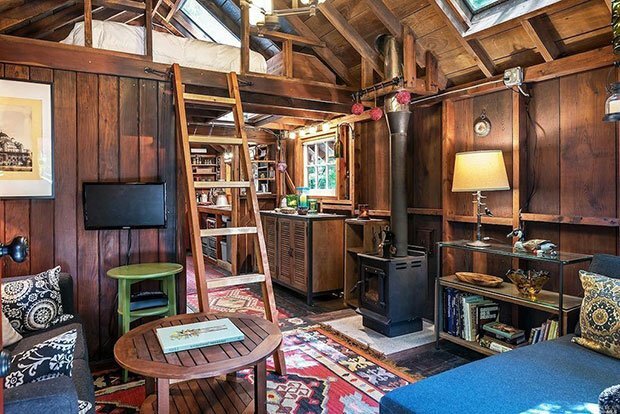 Might seem like a lot for such a tiny house, but the inside of the cabin justifies that. It’s just as good as the outside! It’s been very well thought out, from the materials all the way to the colors. There’s not a single detail that doesn’t fit in here, which you can see for yourself. A charming fence spans the 2 lots totaling .44 acres. Somewhere between heaven & earth. 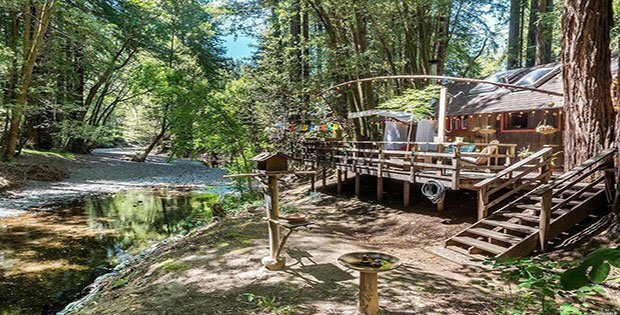 There’s a pirate’s treehouse, two zip lines & parking for your RV.